Stars boot stripes. The design shows the cars colour as the background. The image shows Black vinyl on a White MINI. 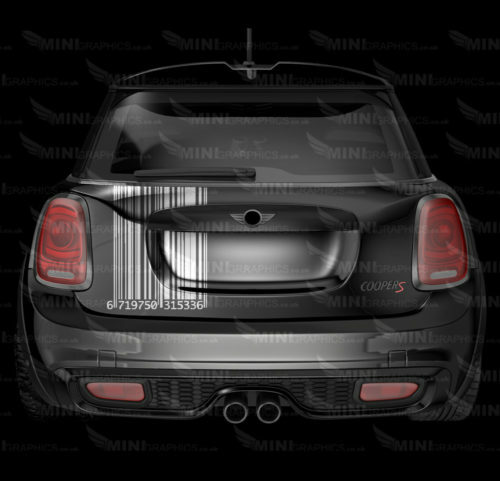 Stars boot stripes for the MINI range.